The Russians Have Invaded? ….Again??? 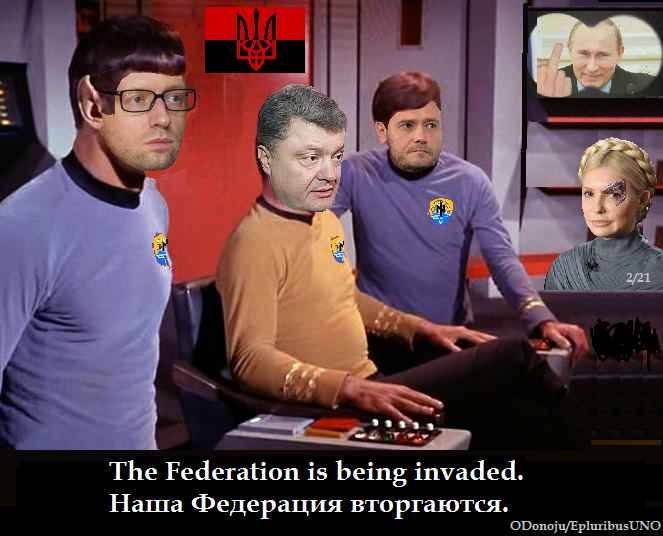 Bonehead: The Romu-Russians have invaded the Ukrania Galaxy! We have evidence! Captain Jerk: But why can’t we see them, Spook? Spook: They have a cloaking device, which makes them invisible. #2 of 21: Captain, I have the enemy leader onscreen with a visual message. Captain Jerk: What does it mean? Spook: Do you remember what the Reptilian Ambassador Nuland said about the Europe Confederation? #2 of 21: Resistance appears futile, Captain. Spook: I know…. Let’s build a big fence to shield our airspace! Captain Jerk: Our shields are crumbling. Can we get any more credit to buy fuel? Bonehead: We already owe Star Fleet for last year’s fuel. Captain Jerk: I may have to abandon ship. Can you stay here and fight, Spook? Spook: Highly unlikely, Captain. Quite illogical. I have a golden parachute. #2 of 21: I can’t be captured again. I’ll change my name to Princess Leia, and go to another Galaxy far far away. Bonehead: OK, I will stay and fight forever. Бонхед: В Pomy-русские вторглись в украинскую галактику. У нас есть доказательства! Капитан Гирк: Но почему мы не можем их видеть, Споок? Споок: Они имеют Мантия-невидимка, который делает их невидимыми. #2 из 21: Капитан, у меня есть вражеского лидера на экране с визуальным сообщением. Капитан Гирк: Что это значит? Споок: Ты помнишь, что сказал рептилий посол Нуланд о Европе Конфедерации? #2 из 21: появляется сопротивление бесполезно, капитан. Споок: Я знаю…. Давайте строить большой забор, чтобы оградить нашего воздушного пространства! Капитан Гирк: Наши щиты рушится. Можем ли мы получить больше кредитов для покупки топлива? Бонхед: Мы уже должны звездный флот на топливо в прошлом году. Капитан Гирк: Я, возможно, придется покинуть корабль. Можете ли вы остаться здесь и бороться Споок? Споок: крайне маловероятно, капитан. Довольно нелогично. У меня есть золотой парашют. #2 из 21: Я не могу быть захвачены снова. Я изменю свое имя, чтобы принцессы Леи, и перейти к другой далекой-далекой галактике. Бонхед: Хорошо, я останусь и бороться навсегда. Violent demonstrations in San Antonio, escalating since November, have left 100 dead, including 17 Texas Rangers. The Alamo has been burned and dismantled by demonstrators using Molotov cocktails, and adobe blocks from the structure to hurl at the Rangers. The Chinese Communist government, while denying any involvement, have recruited ethnic Mexican nationals to demand an end to the dictatorial interference by Barack Obama and the American Fascist government in Washington DC to keep Texas in the American Union and sphere of influence. “America has no right to interfere in the activities of Texas” despite significant historical ties, said the Chinese Foreign Ministry. Secret tape recordings disclosed by WikiLeaks reveal the PRC has spent $5Billion Yuan in fomenting ethnic unrest in the region, leading to demonstrations which began in November, but became violent last week. Perry is assumed to have ordered the Texas Rangers to retake the Alamo, besieged by the demonstrators, in a conflict which resulted in almost 100 deaths. Despite many earlier concessions by Governor Perry to peacefully resolve the issue, he has reportedly fled Texas and is presumed somewhere in US territory. A warrant has been issued for his arrest in the mass murder of 80 ethnic TexMexicans heavenly heroes. China has immediately recognized the new provisional government, and has promised billions of Yuan in economic aid. It is widely rumored that the deal was in exchange for control of Texas gas pipelines and access to the port of Houston to house a Chinese Naval Base, and leasing Johnson Space Center for future Chinese space missions. The Chinese yuan has now been declared legal tender and the official currency of Texas. President Obama has been warned not to “cross the line” in defending any American “imperialist” interests. American oligarch Jerry Jones, owner of the Dallas Cowboys football team has also fled the state. The team has been renamed the Dallas Vaqueros., and the stadium renamed Santa Ana Memorial Colisseum. Protests throughout the world are condemning Obama as a brutal dictator conspiring once again “to crush the democratic aspirations of ethnic Latino people”. The Organization of American States has issued a resolution of solidarity with the protestors, and pledged economic aid through the Rothschild Central banks in each country. It is unknown at this time who will head the provisional government, but it is widely assumed the new President/Governor will be selected by the Chinese from the ranks of the Zeta Cartel party. Several neutral commentators have noted the remarkable similarities between the situations in Texas and Ukraine. 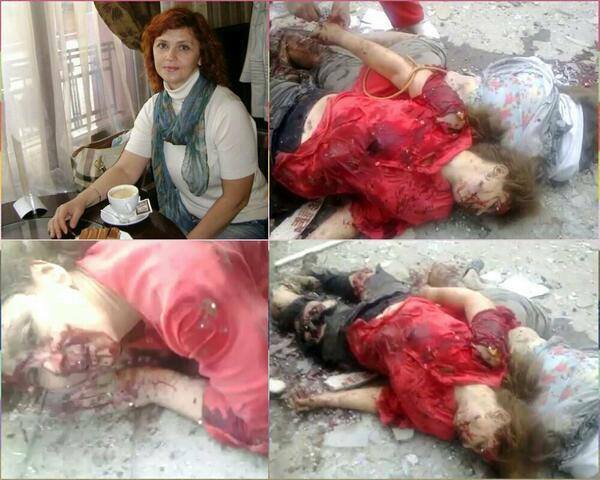 US, EU, Kerry support ‘CHOICE” in Ukraine…. REALLY? Choice is not the issue in Ukraine. Gas pipelines to Europe is the issue. Strategic surrounding of Russia is the issue. Drawing former allies of USSR into NATO is the issue. Ukrainians making their own choices is NOT the issue. Ukrainians have elected a government and a President, peaceably, fairly, without US /EU interference for 20 years, since the breakup of USSR. Now, when that government CHOOSES to re-evaluate EU affiliation and slow the process down, US & EU decide the people are being denied a choice, so the EU/and US will tell them what choice they SHOULD make, because the first choice… they don’t agree with. Ukraine’s elected government CHOSE not to pursue EU integration at the original pace, due to economic factors, which such integration would exacerbate. They offered Ukraine ‘austerity’ preconditions and the likelihood of imploding the industrial economy of Eastern Ukraine, because it didn’t meet EU standards. Apparently, there is only ONE choice that Ukrainians can make to be acceptable to the West. Otherwise, the West doesn’t really support choice at all. It seems like he chooses differently than the ‘PEOPLE’ who ELECTED the government. He prefers to side with a mob in one Ukrainian city who want to overthrow the elected government. He added that protesters believed their futures “do not have to lie with one country alone, and certainly not coerced”. One acceptable option is apparently for Ukraine to be divided, and only coerced by EU/US. Ukraine has much more common political history with Russia than with the West, yet the media try to pretend this is ‘usurpation’ and interference by Russia. The “Kyiv Rus” were the ORIGINAL ethnic basis of the Russian peoples. VALERY KLITSCHKO’s ‘CHOICE’- “We have to act now before it is too late,” he said. “We want to ensure the crisis in the Ukraine is solved because it can trigger a crisis in the whole region.” True, but conveniently forgetting his “action” CAUSED the crisis. His party did not prevail in the elections, so protest and overthrow is now the preferred “democratic” alternative. While the current government is economically inept and overbearing, Klitschko’s joining in common purpose on the streets with radical right wing and neo-fascist political parties, who aggravate the situation on the street with Molotov cocktails, is hardly an endorsement of his political acumen in solving anything. “We insist on full respect for the fundamental principle that each and every country has an inherent right to freely choose its alliances.” … Except if NATO disagrees? Ukraine DID choose. I guess he believes a group of protestors should make strategic policy, not the elected government. 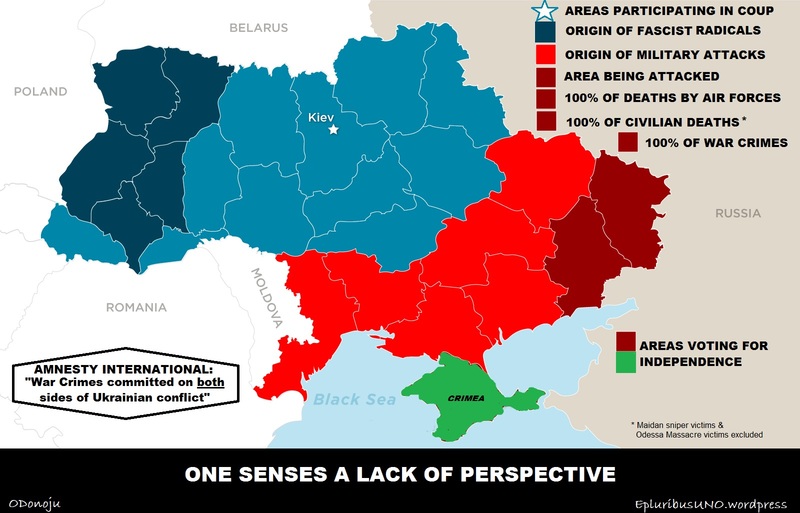 ….OH, I thought you said it was UKRAINE’S choice? He added – “the EU’s offer of an association deal remained on the table.” REALLY? Then what is the hurry to overthrow Ukraine’s elected government? The Ukraine crisis is manufactured by US/EU supported puppets to disrupt Russian gas pipeline deals to Europe, and to militarily threaten Russia’s southern flank. Overthrowing a president in mid term is NOT democratic. There are regular elections scheduled in 2015, but apparently not on a timetable acceptable to US/EU, who seem intent on dictating the “will of the people”. If overthrowing an elected government in mid term is now defined as “democratic,” when there are regional protests against policies that some of the electorate disagree with, should this be used as a precedent for the United States government as well? At 40% approval rating, Mr. Obama might want to reconsider that policy. Certainly, this would be interesting news for the “Occupy” and “Anonymous” movements. In Russia’s immediate backyard, Ukraine, a country larger than France, and the location of Russia’s primary warm water port and Black Sea naval base, the Ukrainian president made a strategic decision NOT to ally with the EU at this time, without a TRI-LATERAL agreement including its natural geographic ally and sponsor, Russia. Demonstrations against EU’s misguided “either-or” choice in Kiev, the capital, largely by young people who did not personally experience the consequences of the Holomodor Famine-Holocaust in 1932-33, nor the Nazi-Stalinist occupation and purges of the 1940s-50s, the combination of which decimated the Ukrainian population by almost 30%, have gained worldwide headlines. Ukraine must avoid being again trapped in the middle between two ideologies. The country is already reeling economically and societally in a post-genocidal culture shock. Many Western advocates, particularly anti-Putinists (ie: John McCain), argue that Ukraine sold out its national heritage, blackmailed by Russia. In reality, the EU offer on the table was economically a BAD DEAL for Ukraine. So bad, in fact, that one wonders it was considered at all, and arouses suspicions as to true Western motives. The overriding political reality is that Russia is NOT about to allow its southern flank to be exposed militarily or economically. Period. On the other hand, the EU (ie: the US-led Western Alliance) is continuing its antagonistic strategic goal of isolating Russia by attempting to gradually peel off its former Soviet vassal States into the EU fold, one by one. Much of the willingness of Ukrainians to substitute one hegemon for the other, is the rampant corruption of the current government, not entirely free of former Soviet hardliners and privileged oligarchs. They look to an idealized Europe for respite, and see prospects for betterment along East German and Polish examples. Unfortunately, they do not anticipate the two decades it took those countries to achieve their improved status. Nor do they understand that the corruption of European Central Banks is as insidious as their current condition, in creating vassals. EU and IMF “loans” come with strings and consequences, such as the “austerity” regulations currently experienced by Greece, Spain, Italy, Portugal, Ireland. The EU carrot comes with a stick. Without accession, “sanctions” against the duly elected government are being contemplated. As much as I think Yanukovych is a typical heavy-handed Soviet style thug, he may actually be adeptly walking the tightrope in a no-win situation. While the EU courtship seems benign, it also includes a strategic component of separating Ukraine from Russia, in terms of politics and petrodollars, part of a long term strategy to isolate Russia by the West. Just as the USA would react suspiciously to Soviet/Russian/Chinese incursions into Mexico, Putin is not about to expose his southern flank, economically or otherwise. Without stating it, Ukraine is Putin’s “red line”. With the Soviet fleet in the Black Sea, Ukraine is in the Russian sphere, regardless whether all 100% Ukrainians wish it were otherwise. On the surface, it may seem to be about economic self-determination. In reality, it is a continuation (or new creation) of the Cold War between US and Russia. The Kissinger-Brzezinski containment strategy is being proxied here, as much as it is in Iraq, Iran, Egypt, and Syria. Yanukovych’s fence-sitting may prove to be an adept avoidance of significant national upheaval, particularly along linguistic loyalties, and potential civil war. The perpetual unsolvable chaos of Egypt may occur here also, perhaps as an integral part of the Western strategy. A middle path of negotiations must be found to avoid Ukraine’s becoming an unfortunate geographic pawn in a superpower game it cannot win, yet cannot avoid without consummate dexterity. The EU opportunity is part Trojan horse, and Putin knows it, including progressive ingratiating into the Western sphere. Insisting on choosing between EU or Russia will result badly for Ukraine. 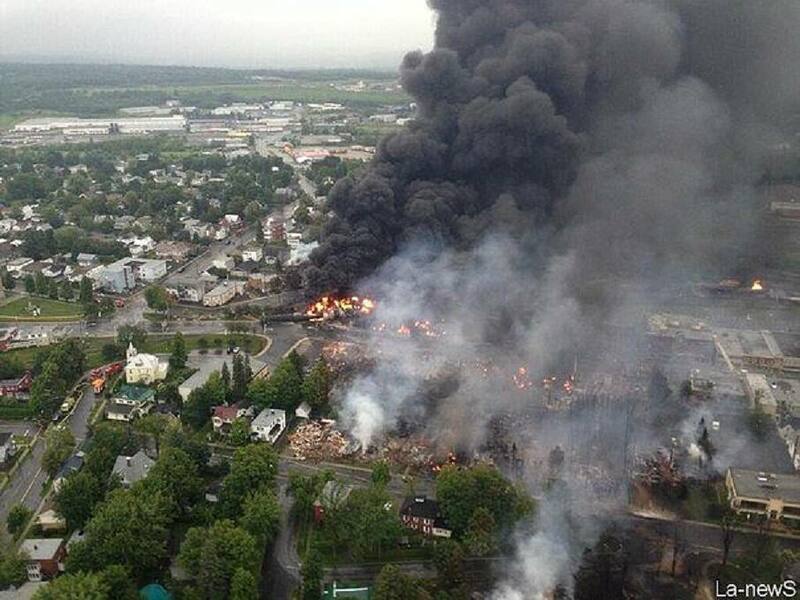 In this case Yanukovych’s crude sense of survival may coincide with Ukrainian national interests. Between Stalin’s enforced collectivization, the genocidal Holodomor Famine, and WW2, Ukraine lost almost 15 million of its population over two consecutive generations. Another 6 million decline has occurred since 1980. Russia must be first to integrate into Europe, before it will allow itself to be further isolated by losing more influence in former Soviet States to the West. If the West wants peace, stability and security, Stalin’s legacy of national paranoia must be acknowledged, not challenged. Only when it becomes comfortable, will it allow Ukraine to tag along. They have actually floated the concept of a tri-partite agreement for coordinated participation in Europe, but so far (at US instigation?) THAT solution doesn’t advance US geopolitical and petrodollar interests, indicating the intent all along is to chip away at the former military-economic bloc until there is no alternative. You can not securitize Europe by isolating and antagonizing Russia. Security results from mutual cooperation, not perpetual confrontation against vital national interests. The stakes are as high here as they are in the Middle East, for EITHER defining 21st Century superpower hegemony, or structuring a durable economic and military peace. The stakes for Ukraine may be even greater.